Cheer for developers who benefit from green card program. 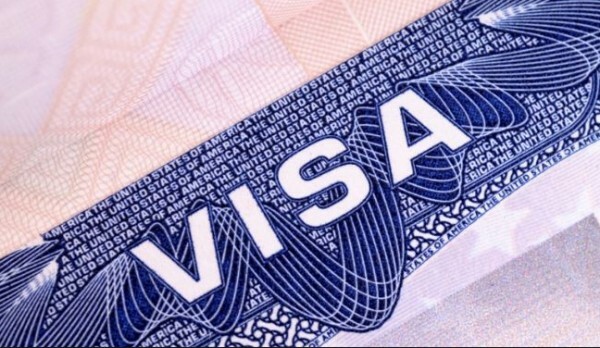 The controversial EB-5 visa program has been extended with all current rules intact till September 30, 2016 as part of the omnibus spending bill Congress reached Tuesday night. A Government Accountability Office report this year said that U.S. Citizenship and Immigration Services, which oversees the program, can’t effectively detect investment-related fraud or assess the program’s economic benefits. California Sen. Dianne Feinstein called for abolishing the regional center program. The program, is relatively small, granting up to 10,000 visas per year for investors and their family members. In the past two years, most have gone to Chinese applicants, the Chronicle reported. The vast majority of investors come in at the $500,000 level, which requires an investment in either a rural area or a “targeted employment area,” defined as an urban area with an unemployment rate of at least 150 percent of the national average. Developers have been getting EB-5 funding at the $500,000 level to build luxury condos and other projects in affluent urban neighborhoods by expanding the boundaries of their targeted employment to area to include low-income communities, which critics say is gerrymandering. California has tightened this loophole by defining a targeted investment area as 12 or fewer contiguous census tracts with a total average unemployment rate of 150 percent of the national average. A census tract can be as small as a city block to as large as a county in sparsely populated areas, reported the Chronicle. The compromise bill that almost passed would have adopted the California definition nationwide and raised the minimum investment required in such areas to $800,000 from $500,000. That would have reduced, but not eliminated, the ability to fund projects in affluent urban areas at the lower investment level. It also would have imposed a new $10,000 filing fee per investor. Those fees would have been used to fund other government programs. It also would have imposed new monitoring responsibilities on the immigration service. The compromise fell apart when, at the last minute, another provision was added, said H. Ronald Klasko, a Philadelphia immigration attorney who represents regional centers and developers. It would have reserved 2,000 of the visas per year for investments in rural areas and 2,000 for investments in “urban priority areas, basically impoverished areas,” he said. But there aren’t many projects in those two areas. It also reserved 2,000 for investments in non-targeted areas at the $1 million level. That would have left only 4,000 visas for the type of projects most investors and developers wanted to fund. “By most estimates, people would have a wait in excess of 15 years,” for those types of visas, Klasko said. The Seattle Times reported that House and Senate committee leaders had crafted a compromise that an industry trade group said would have been the program’s first major legislative reform since the early 1990s. That measure would have funded efforts to combat fraud, raised the minimum investment to participate, and created incentives to channel immigrant investors’ foreign capital to high-priority economically struggling areas. IIUSA, the national trade group representing firms that invest EB-5 visa applicants’ foreign capital in projects, supported the compromise and expressed disappointment despite the program being extended through September. “While this is good news for the EB-5 industry and communities counting on EB-5 capital to create jobs, we are disappointed that Congress did not take this opportunity to pass a long-term reauthorization and reform package,” the trade group said in a post on its blog, the Times reported. The Real Estate Roundtable, a trade group whose board includes the CEO of The Related Cos., the single-largest user of EB-5 financing, said in a statement it was pleased to see the 10-month extension from Congress. The Wall Street Journal reported that developers, particularly in New York, have been attracted to the program because it offers low-cost financing, saving them tens to hundreds of millions of dollars in interest costs on large projects. But critics have said these developers are taking capital away from projects in rural and poor neighborhoods. The move for reforms met with fierce resistance from a set of influential urban developers including the Related Companies. With backing from the U.S. Chamber of Commerce and the Real Estate Roundtable, the group made their case to key lawmakers, winning allies including Sen. Charles Schumer (D., N.Y.) and Sen. John Cornyn (R., Texas), according to congressional aides and others familiar with the talks, the Journal reported.